DAY 1: Welcome to Israel! 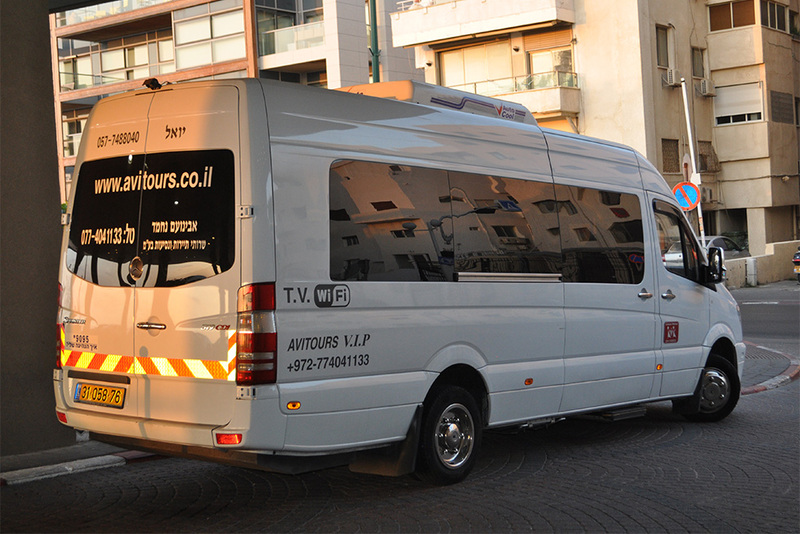 The group will be met at the airport by Avinoam and your driver and then you’ll go to the Carlton Hotel to pick up the members of the group who have arrived earlier on. 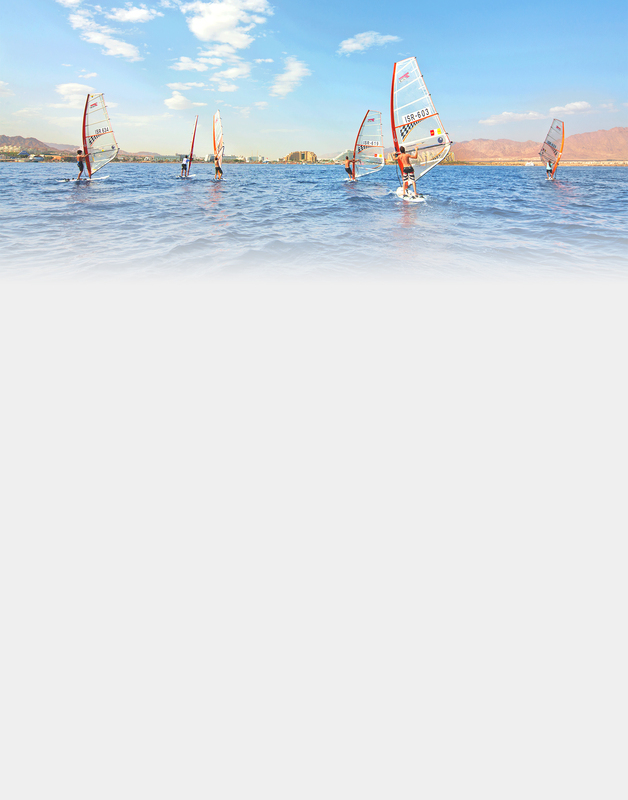 You’ll begin your tour with a ceremony on the beach and then you’ll take a sightseeing tour of Tel Aviv. This first day of touring will be capped off by a great dinner and then the group will return to the Carleton Hotel for the night. Overnight: Carlton Tel Aviv. DAY 2: This morning you’ll drive from the hotel to the Palmach Museum where you will learn about the beginnings of the Israeli army in this fascinating multimedia presentation. Then it’s on to Caesaria to walk the ruins of this ancient port city on the shore of the Mediterranean. You’ll see the amphitheatre, the hippodrome, the baths and shops all of which tell the story of this place which was left behind by the Romans nineteen hundred years ago. 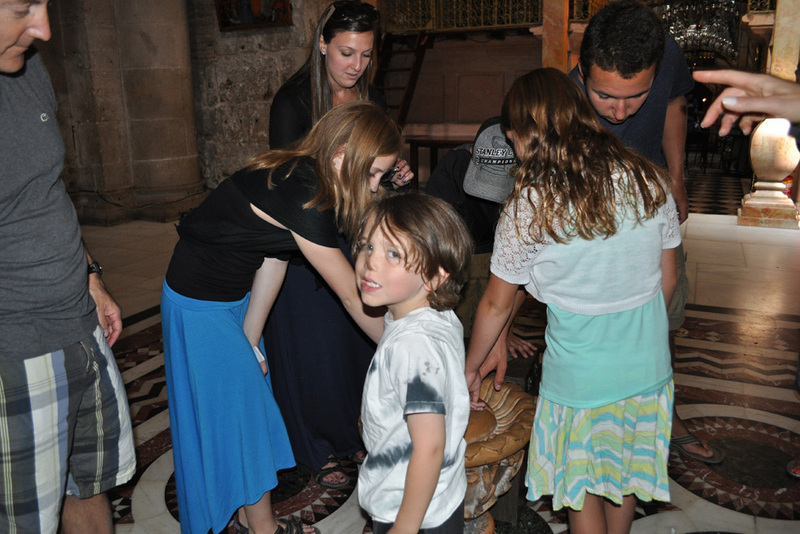 Finally, the group will drive to Akko to explore the Crusader’s Halls and tunnels as well as the bustling market after which you'll drive on to Kibbutz Kfar Blum for dinner and overnight. Overnight: Kfar Blum Kibbutz Hotel. DAY 3: This morning you’ll depart Kfar Blum and you’ll drive to the sources of the Jordan River to visit and hike the Banias. From here you’ll climb up into the Golan to the Valley of Tears and to Mt. Bental. 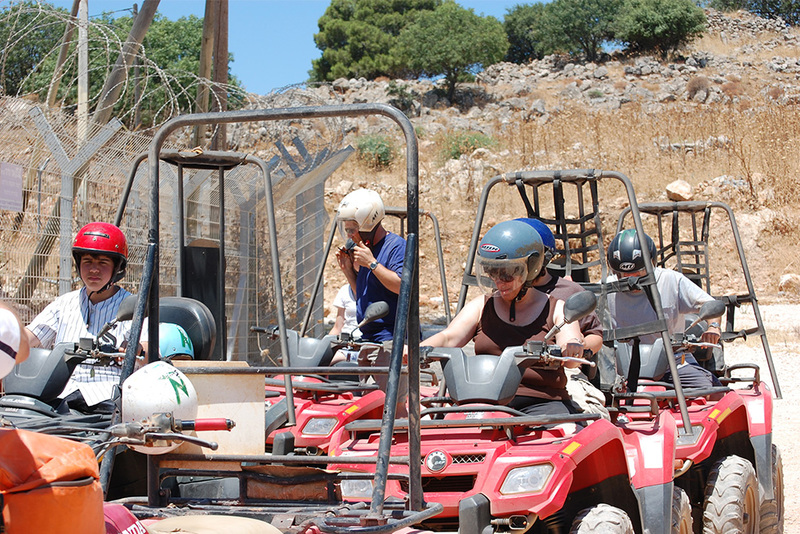 At Mt Bental you will tour an underground Israeli army bunker and view our border with Syria. After you explore Mt Bental, you will tour de Karina chocolate factory which produces some of the best chocolate in Israel and then you’ll go, via Katzerin, back to Kfar Blum at the end of the day. Overnight: Kfar Blum. DAY 4: In the morning you'll go first to Sefad, the center of Jewish mysticism and in itself a charming and ancient small city in the north. 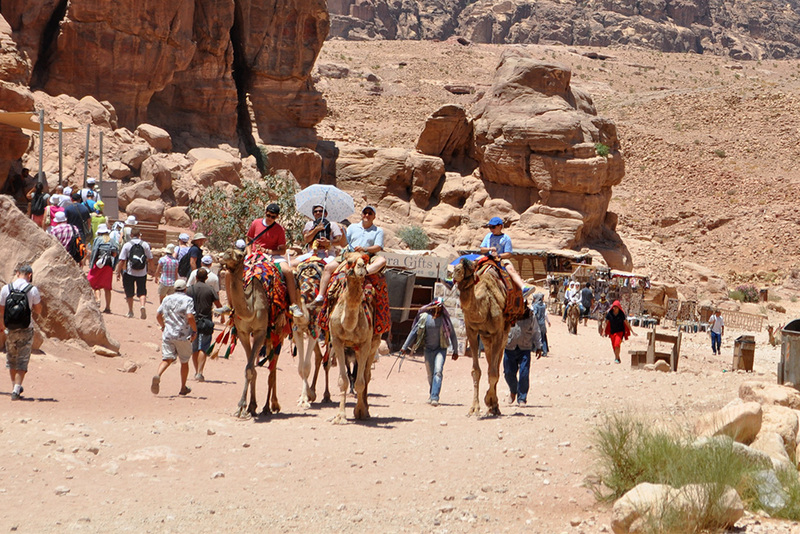 In Sefad, the group will go to the Jewish Quarter and to the Old City of Sefad. You'll also have time to visit Ha'Ari Ha'Kodesh synagogue and the artist's colony located here. 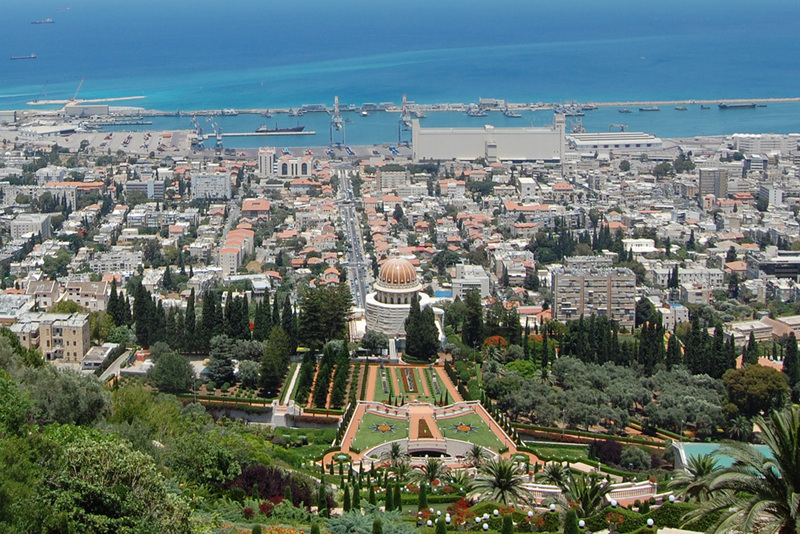 From Sefad you'll go to the city of Tiberias via the Island of Peace Memorial Site in Naharayim. From this lovely memorial site, you'll go on to Beit Alpha Synagogue where you will learn about its unique mosaic floor. 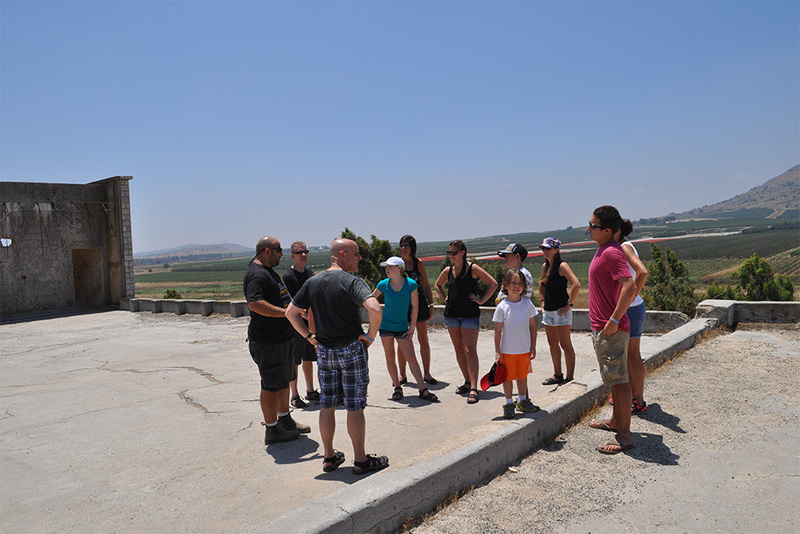 From Beit Alpha, the group will drive through the Jordan Valley and on to Jerusalem. You'll stop at a panoramic viewpoint, say the Shehecheyanu blessing and then go on to your hotel in Jerusalem. Overnight: Crown Plaza Hotel, Jerusalem. DAY 5: Today the group will start the day by visiting Beit Guvrin to take part in Dig for a Day. This fascinating site dates from ancient times and was where a complex Jewish culture once thrived and where there is now an ongoing archaeological site. From Beit Guvrin the group will go to Ayalon Institute. 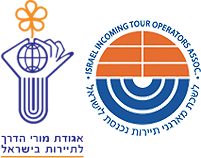 Here you will tour what was a secret underground bullet factory built and run by Jewish pioneers at the time of the British Mandate. 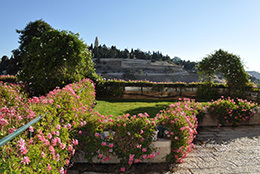 From here you'll return to Jerusalem for a special Shabbat dinner at Shimshon Center. Overnight: Crown Plaza, Jerusalem. DAY 6: You'll go first today to the Time Elevator (a fun mix of history lesson and theme park ride) and then you'll go on to the Israel Museum to visit the Shrine of the Book and the model of the city at the Time of the Second Temple as well as part of the Judaica exhibit. In the evening you’ll enjoy the Sound and Light Show at the Tower of David Museum. Overnight: Crown Plaza, Jerusalem. DAY 7: Today you will visit Yad Vashem, Israel’s Holocaust Museum where you will have the bar mitzvah ceremony. 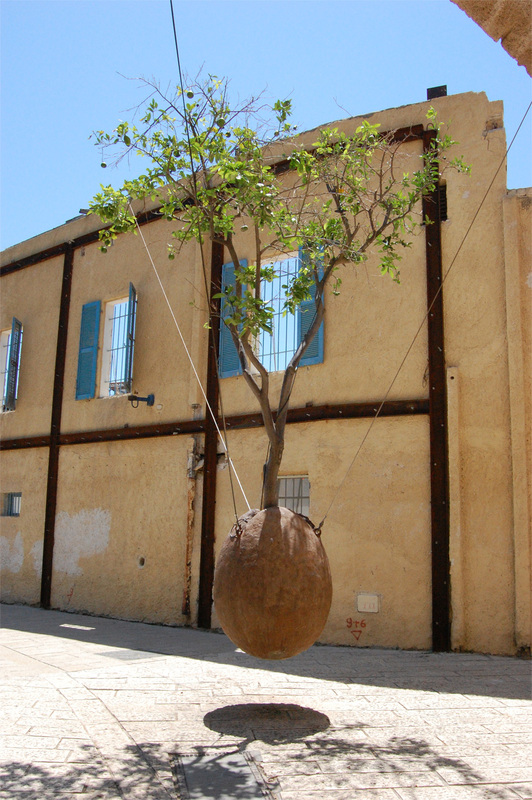 From this amazing moving place you’ll go to the Jerusalem forest where everyone will have the opportunity to plant a tree. Then you’ll go on to the Herzl Museum to learn, in this fun and fascinating multimedia presentation, all about the birth of Zionism. Overnight: Crown Plaza, Jerusalem. 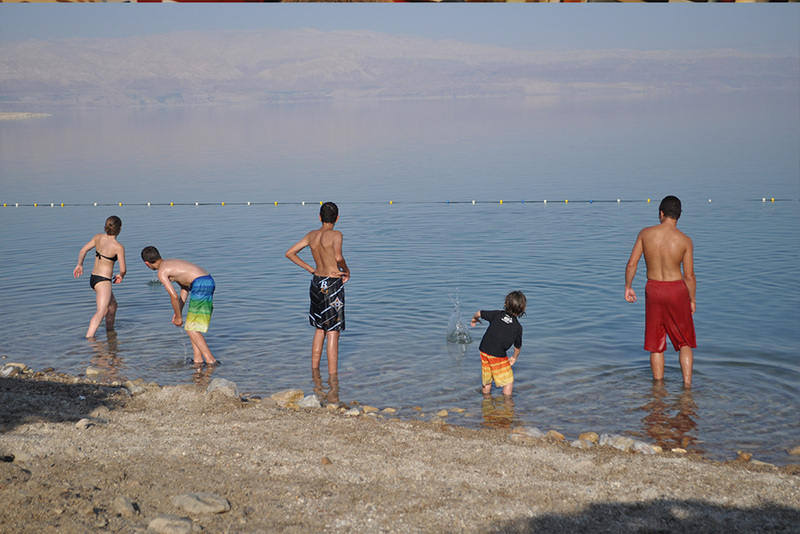 DAY 8: Early this morning you will leave the hotel and drive to Ein Gedi where you’ll hike to the waterfalls and sweet water pools in this beautiful nature reserve area in the desert. 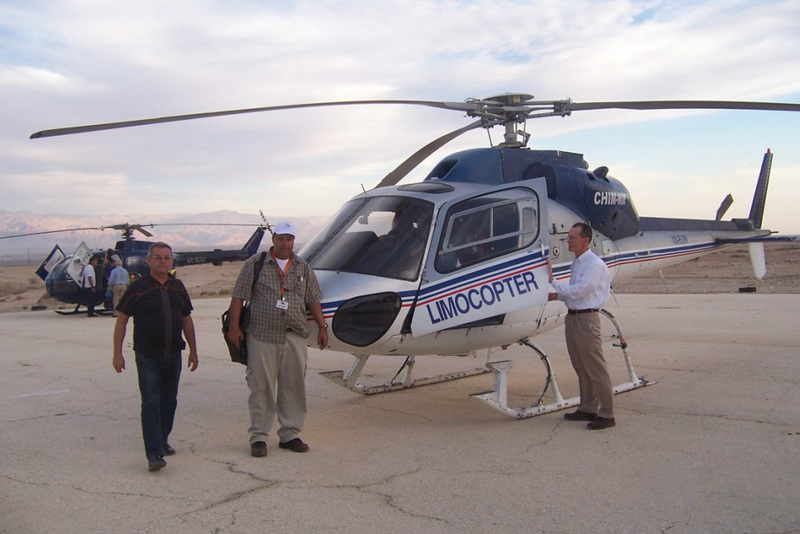 Then you’ll drive to Masada; some of the group will hike to the summit while others will take the cable car up to the ruins. On the summit you’ll tour the ruins where 2,000 years ago an intrepid band of Jewish rebels sought to evade capture and enslavement by the Romans. 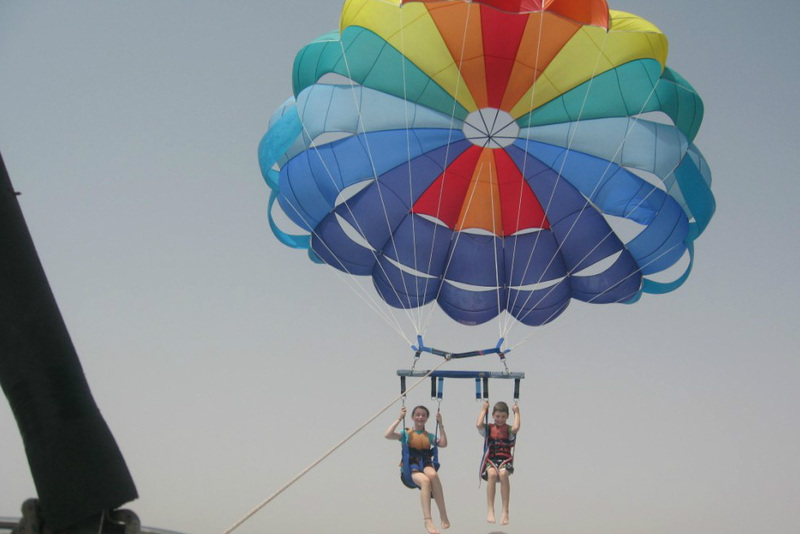 You’ll descend Masada by cable car and then you will drive to the Dead Sea to enjoy lunch and take a float on the waters. After this you’ll take a jeep ride at Mt Sedom, one of the most stark and beautiful places in the country. From the jeep ride you’ll all go to the Taj Mahal restaurant for a festive and delicious Bedouin style dinner. Overnight: Crown Plaza, Jerusalem. 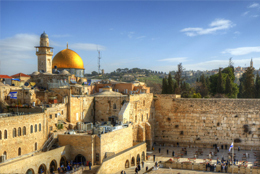 DAY 9: Today in the morning you will start the day with a visit to Ammunition Hill and then the group will take part in a mitzvah project in Jerusalem and then you will take a walking tour of the Old City. 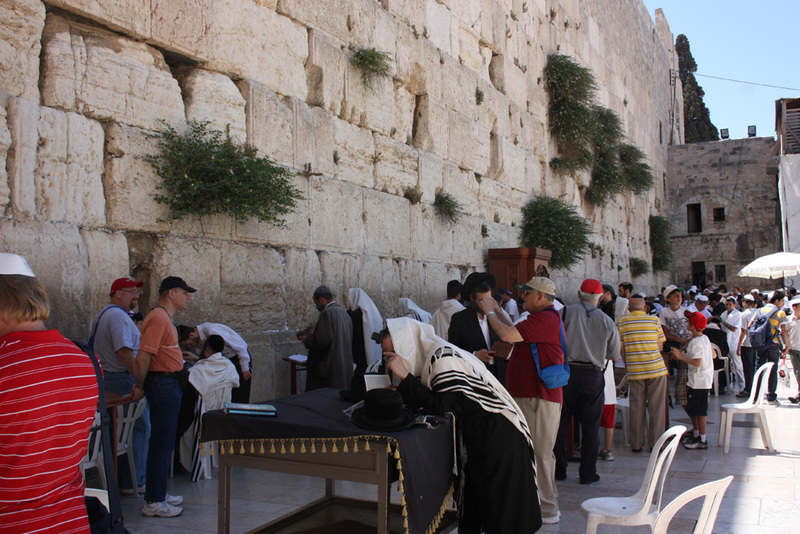 Here in the Old City you will see all four quarters and the most important sites in each with time for prayer at the Western Wall. In the evening you will enjoy a wonderful farewell dinner. Overnight: Crown Plaza, Jerusalem. DAY 10: Today in the morning the members of the group who are flying home today will depart Jerusalem at 03:40 to go to the airport where they will arrive three hours prior to flight time and here they will say farewell, for now, to Israel. All other groups members have time to continue to enjoy Israel on their own until their individual flights home. * Please note that the provided program is an examplary one and may be easily changed according to your preferences.